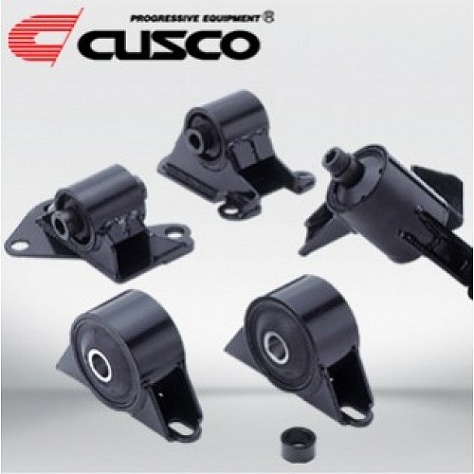 These components are the Cusco Engine and Transmission Mounts designed to reinforce the engine and transmission to help reduce movement. Your OEM units get the job done, but like all components that have bushings, eventually they will become weak or wear out over time and mileage, and this is especially noticeable under high-performance driving conditions where excessive movement of the vehicle can cause jarring movements in the engine and drivetrain. 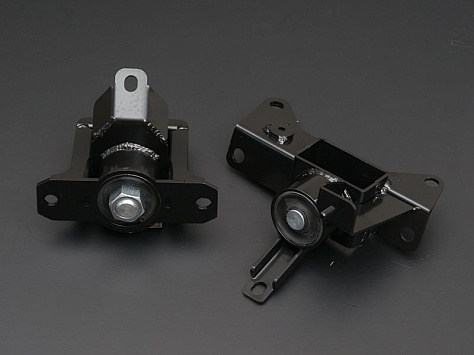 Note that these are much more solid when compared to the design of the OEM units, which makes for a better option for those of you running more power and a more aggressive suspension setup. However, this will create louder engine and transmission noise in the cabin.